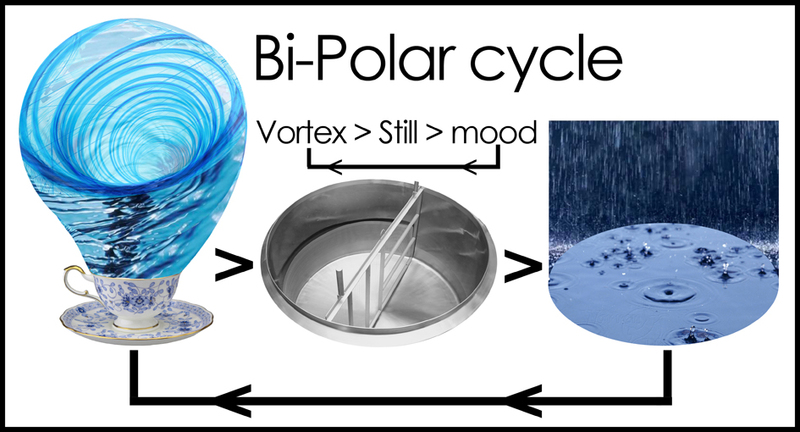 emotion builds up and eventually another storm in a tea cup etc. 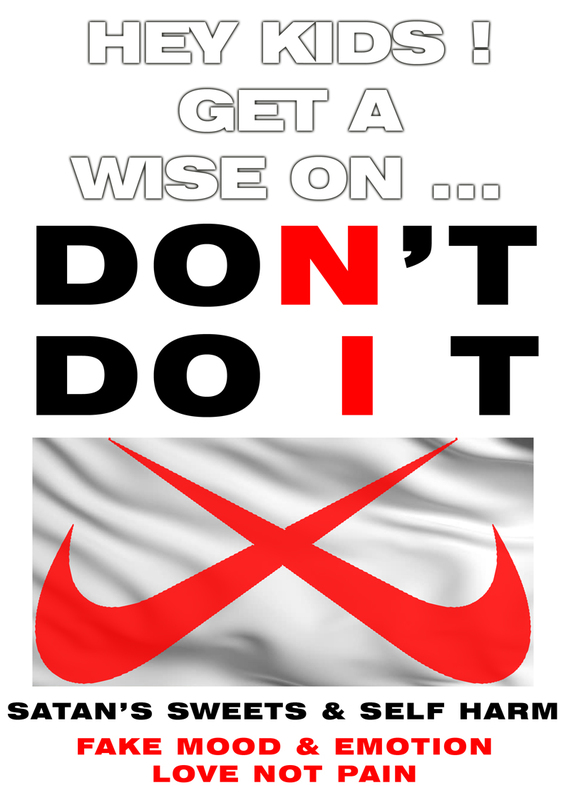 I make sure I always eat well and take meds. 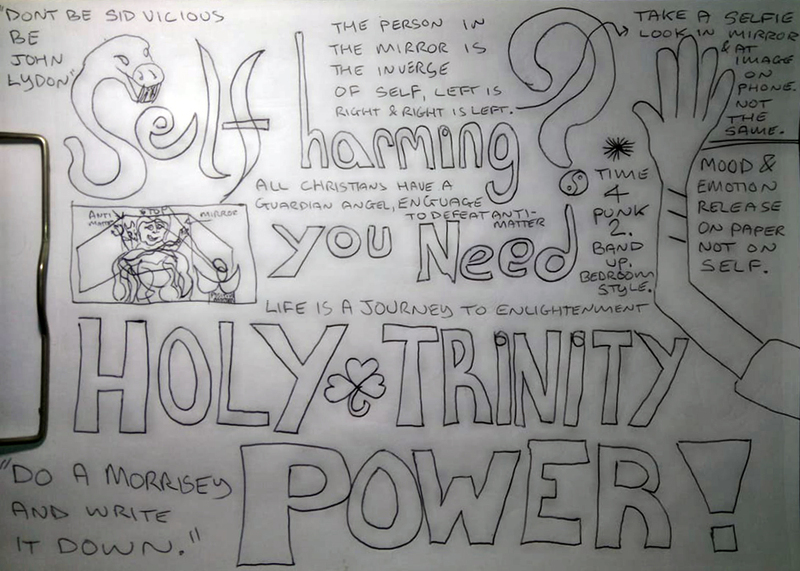 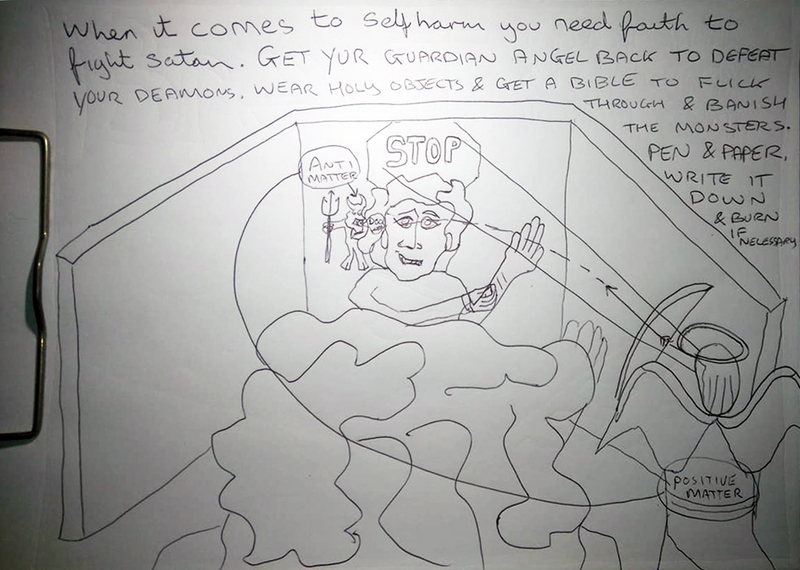 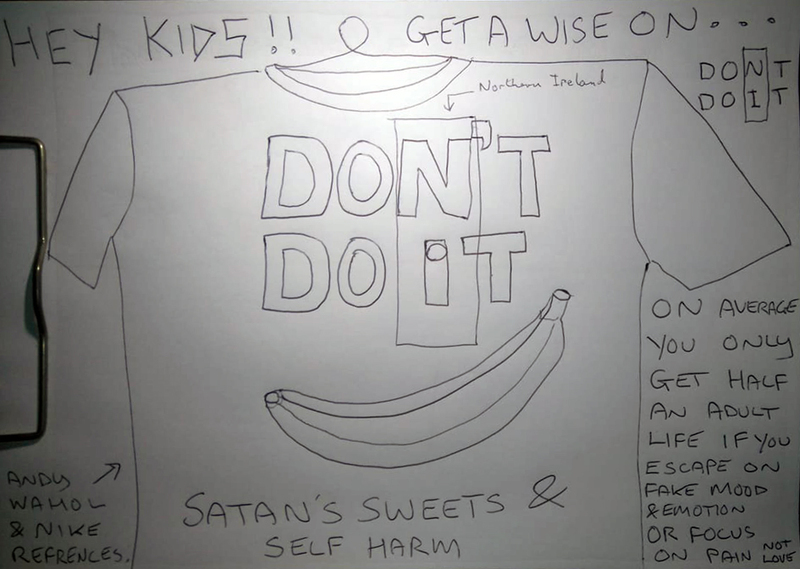 After seeing recent news reports on the youth self harming and taking satan's sweets I have knocked up this A4 poster to print and display..
freehand draw your own version and wear with attitude. This site interface will evolve over time with many pages and navigation system based on topics covered.